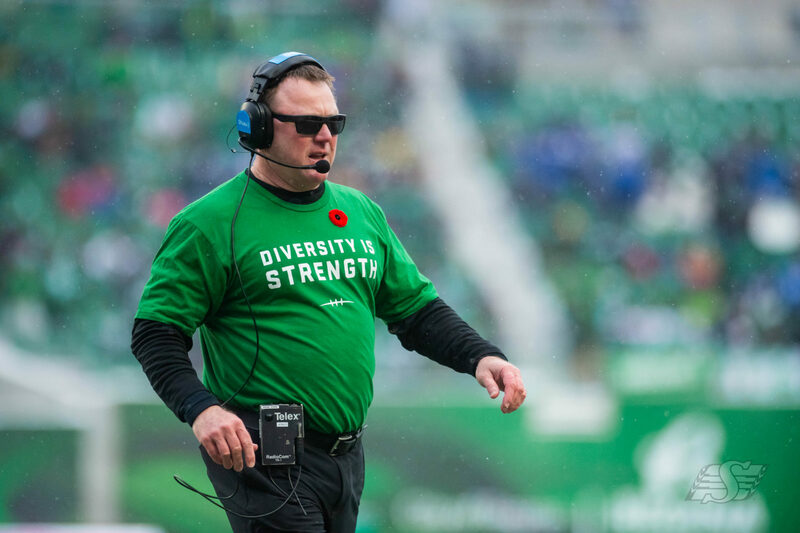 The Saskatchewan Roughriders continued trending upward during the 2018 CFL season, but they didn’t go high enough for Chris Jones. In Jones’ third year as the Roughriders’ head coach, general manager and vice-president of football operations, the team went 12-6-0 in the regular season (its first 12-win season since 2008) and staged a home playoff game (its first since 2013). But even though his team went from five wins in his first season at the helm to 10 wins last season to 12 this season, Jones is pumping the brakes. Saskatchewan’s season ended Sunday in a 23-18 loss to the Winnipeg Blue Bombers in the Western Semi-Final. “A lot of people may look at (the improving records) and look at steady improvement; I don’t buy into that philosophy,” Jones said earlier this week. “My philosophy is you either win it or you don’t. 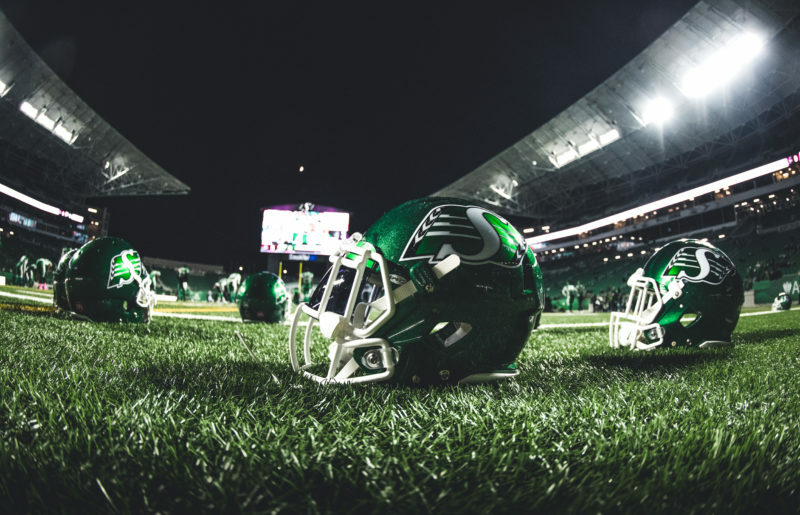 Here’s a look back at the Roughriders’ 2018 season by position. 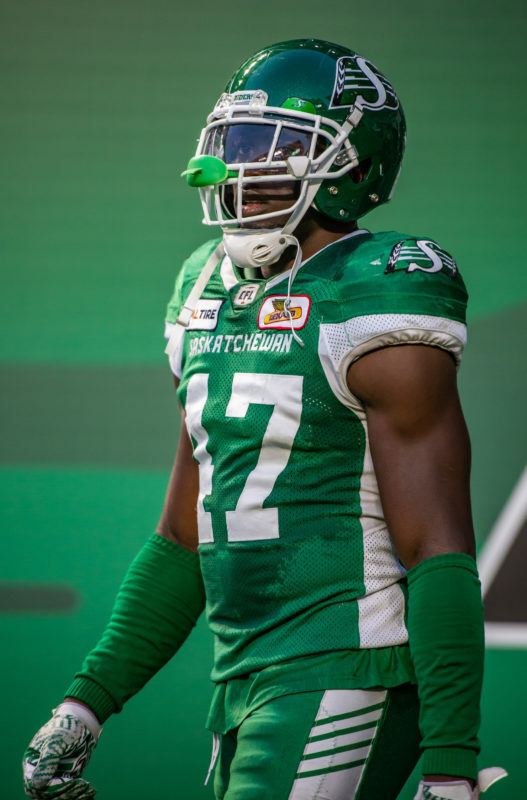 Willie Jefferson’s all-around excellence was rewarded with nominations for CFL awards as the Roughriders’ most outstanding player and most outstanding defensive player. The defensive end set career highs with 10 sacks and two interceptions (both of which he returned for touchdowns) and added 34 tackles, six tackles for losses, three knockdowns, two forced fumbles and two fumble recoveries in 18 regular-season games. 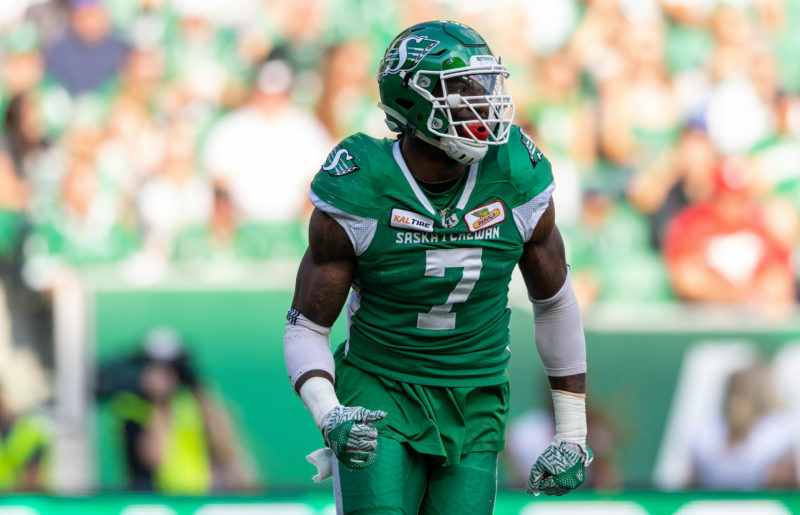 Veteran defensive end Charleston Hughes, who was acquired from the Hamilton Tiger-Cats on Feb. 2, had 13 sacks in the Roughriders’ first 10 games. He had just two sacks the rest of the way, but still won his fourth career CFL sack title. Rookie Chad Geter was a fine off-season find and sophomore Tobi Antigha continued to display unmatched versatility. Antigha played end, linebacker and safety during the season and recorded 21 tackles, three interceptions, three fumble recoveries, two sacks and two knockdowns. A variety of tackles were deployed, including Zack Evans, Mic’hael Brooks, Eddie Steele and Makana Henry. The loss of Brooks to injury affected Saskatchewan’s run defence down the stretch and in Sunday’s loss to Winnipeg. Sam Eguavoen quietly had a tremendous season that deserved more attention than it got. The weakside linebacker led the team (and was seventh in the CFL) with 109 defensive plays, including 81 tackles, 10 special-teams stops, nine tackles for losses, three sacks, two force d fumbles, two knockdowns, an interception and a fumble recovery. He scored TDs on the pick (a 103-yarder, the third-longest in franchise history) and the fumble return (which resulted from his own blocked punt). Sam Hurl and Cameron Judge split time at middle linebacker and combined to make 82 tackles. Judge, whose rookie season of 2017 was ended by injury after only three games, showed flashes of the talent that made him the second pick overall in the ’17 draft. Derrick Moncrief’s play at strong-side linebacker to start the season was as good as Eguaoven’s efforts, but an injury sidelined Moncrief for six games. That allowed former NFL safety Matt Elam to get on the field. Moncrief returned for the final seven regular-season games and for the Western Semi-Final, but he left that contest with another injury. Like Jefferson, Eguavoen is eligible to become a free agent in February — and both may attract interest from NFL teams. Injuries and lineup changes led to some inconsistency in the secondary, where halfback Ed Gainey was the only player to start at the same position in all 18 regular-season games. Nick Marshall developed into a lockdown corner and returned two interceptions for touchdowns; he and Jefferson tied a single-season franchise record with those TDs. But Marshall missed five games with a hand injury, prompting Jones to use receiver Duron Carter on the corner during Marshall’s absence. 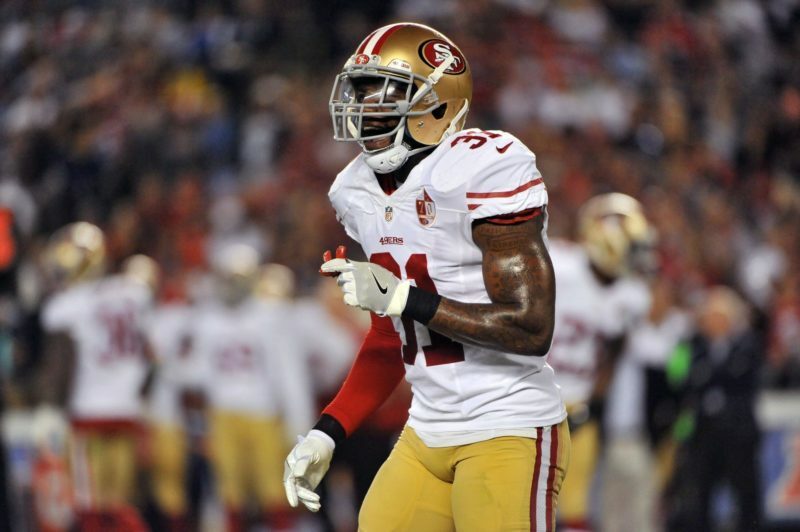 Loucheiz Purifoy was added to the lineup prior to the eighth regular-season game and was a fine addition at halfback. He missed one game, forcing some juggling in the secondary. Mike Edem started 17 games at safety and had one of his finest regular seasons in the CFL. He also played linebacker in one game in place of Elam. Jovon Johnson, Crezdon Butler, Will Blackmon and Elam split time at field corner as part of a rotation. Butler held the job for the final two regular-season games and the playoff contest. 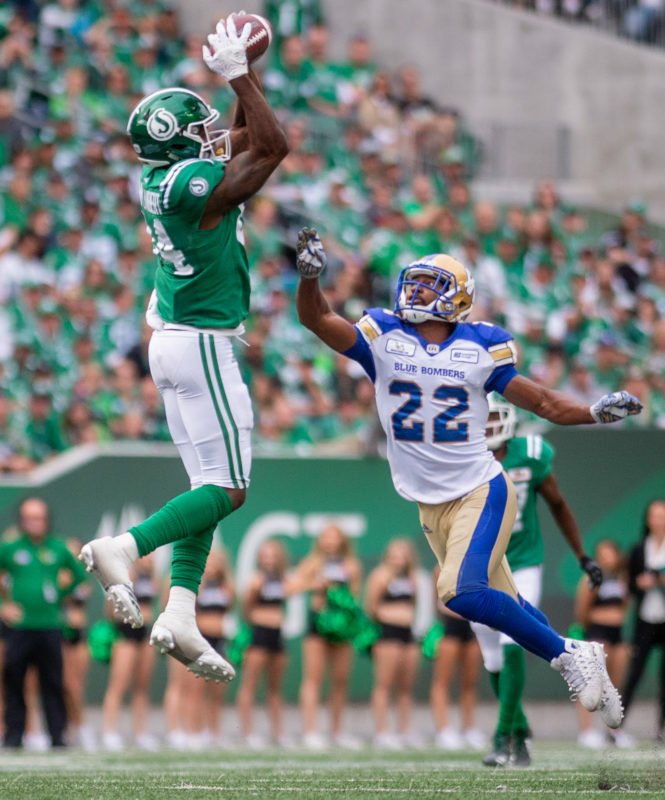 The group helped the Roughriders lead the CFL in opponents’ passing yards (245.8 yards per game) and tie for the league lead with 21 interceptions. The defence as a whole recorded eight pick-sixes to set single-season franchise and league records. The Roughriders’ 11 scoring returns tied a league mark set by the B.C. Lions in 1987. 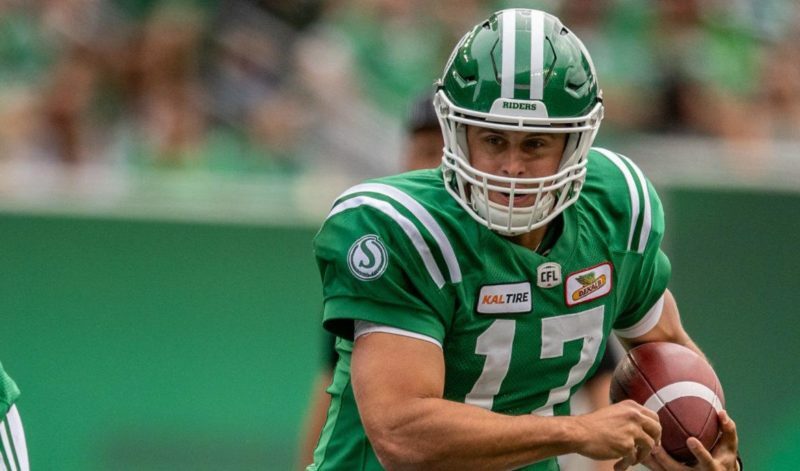 The Roughriders acquired Zach Collaros from Hamilton in January with the hope that he would be the answer for the team’s quarterbacking question. On Tuesday, Jones told reporters that the team’s offensive woes in 2018 started with injuries and inconsistency at the quarterback position. Collaros wasn’t able to stay healthy, leaving three games early due to head or neck issues and missing four contests due to injury. The last time he was hurt in 2018 was in Saskatchewan’s regular-season finale Oct. 27 against B.C. — and that injury kept him out of the Western Semi-Final. In his absence, Brandon Bridge became the first Canadian QB to start a CFL playoff game since Gerry Dattilio led the Montreal Concordes in the Eastern Semi-Final on Nov. 4, 1984. Collaros finished the regular season with more interceptions (13) than touchdown passes (nine) and his backups, Bridge and David Watford, suffered similar fates. Bridge had one TD and three picks, and Watford threw one TD and two interceptions. The passing attack finished the 2018 campaign with 11 touchdowns (ninth in the league) and a per-game production of 220.6 yards (eighth). Marshall, who played quarterback in college before moving to cornerback, proved to be an effective short-yardage weapon with a team-leading seven rushing TDs. 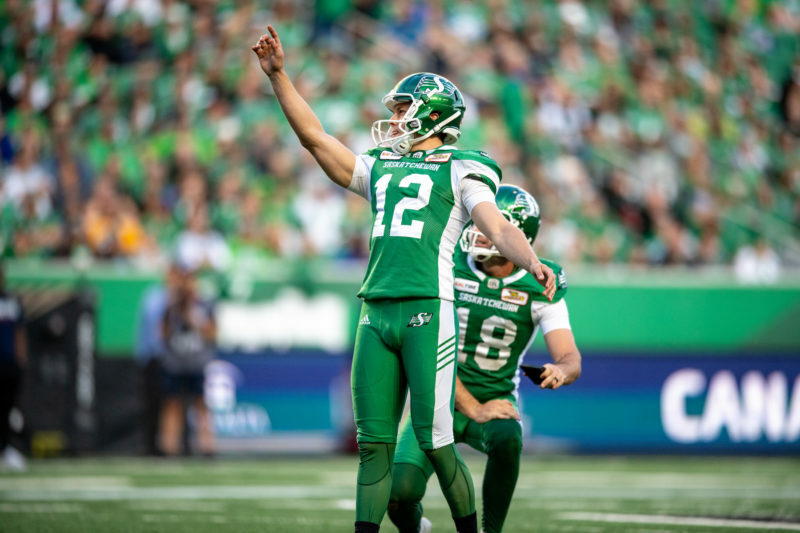 Collaros and Bridge are eligible to become free agents in February, so it remains to be seen if one of them or another pivot will lead the Roughriders’ offence in 2019. For the second straight season, the Roughriders went with a tailback-by-committee approach. Tre Mason (809 yards, three touchdowns) was the featured back for most of the season, but he split time with Marcus Thigpen (408 yards, four TDs). Late in the season, Cameron Marshall (220 yards) stepped in when either Mason or Thigpen was sidelined. 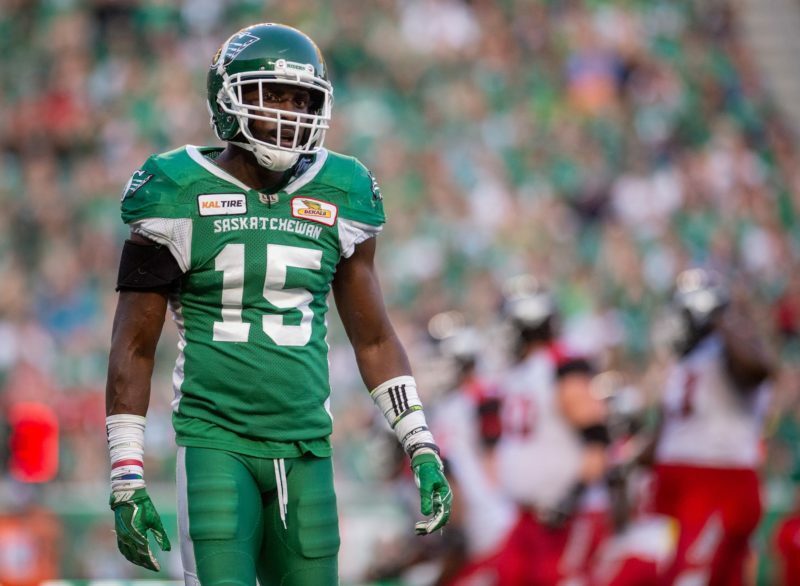 Marshall, who was cut on the eve of training camp after failing his physical, returned to the Roughriders midway through the season and was a valuable contributor down the stretch. The three tailbacks helped the Roughriders finish second in the CFL in rushing, with an average of 111.9 yards per game. Thigpen led the league with a 8.5-yard average per carry, with Marshall (6.5) and Mason (5.1) also surpassing the five-yard average. Each man also was involved in the passing attack, either as a receiver or as a blocker. When fullback Spencer Moore was on the field, he was his usual reliable self in pass protection and as a receiver. 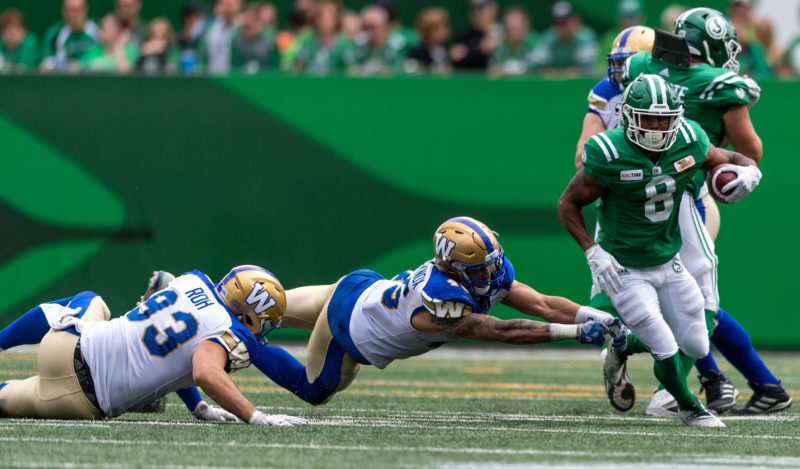 The Roughriders rebuilt the receiving corps in 2018, saying goodbye to veterans who led the group in 2017 and saying hello to CFL rookies Williams-Lambert, Shaq Evans and Kyran Moore. Evans (785 yards), Williams-Lambert (764) and Moore (475) were first, second and fourth among the team’s receivers in the regular season. Williams-Lambert’s production earned him the award as the West Division’s most outstanding rookie. Veteran Naaman Roosevelt was third on the team with 570 receiving yards despite dealing with injuries throughout the campaign. Whether he was on the roster or not, Roosevelt offered guidance to the younger members of Saskatchewan’s receiving corps. Another rookie, K.D. Cannon, showed promise as a fleet-footed wideout late in the season. Patrick Lavoie was excellent as both a receiver and a blocker after being acquired at the trade deadline from the Montreal Alouettes. Like Roosevelt and Rob Bagg, Lavoie was a veteran presence in an otherwise-youthful receiving corps. Thaddeus Coleman and Brendon LaBatte once again were the anchors for the O-line. 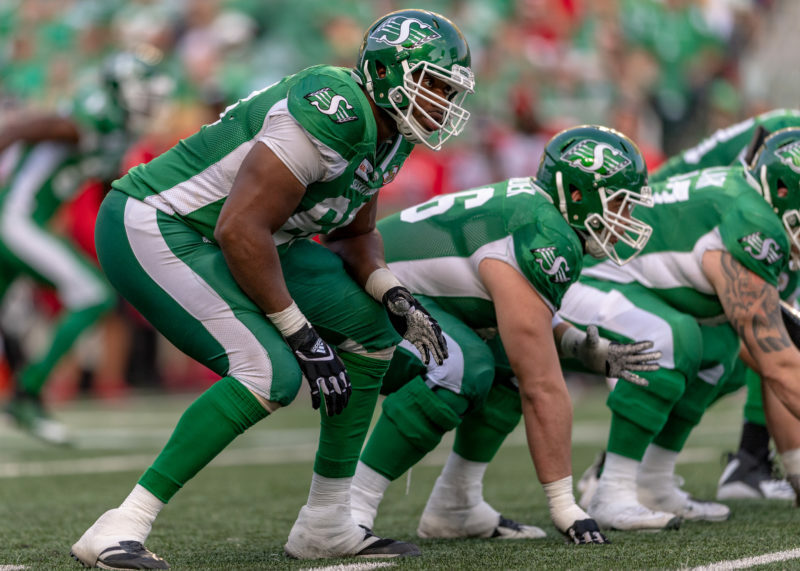 Both started all 19 games the Roughriders played — Coleman at right tackle and LaBatte at left guard (15 games) and centre (four) — in a season in which the team had to juggle the lineup. L aBatte moved to centre after Dan Clark suffered an injury that ultimately ended his season after 15 games. Sophomore Dariusz Bladek won a starting job at right guard and played 16 games before his campaign was cut short by injury. That opened up a spot for former No. 1 draft pick Josiah St. John, who more than held his own. Veteran Philip Blake was a solid pickup at the trade deadline and he stepped in at left guard when LaBatte moved to centre. Terran Vaughn (seven starts) and Takoby Cofield (12, including the semifinal) — both of whom were discovered during off-season tryout camps — handled the left-tackle spot during the season. The group tied Calgary for fewest sacks allowed in the regular season (27) and helped power the CFL’s second-ranked ground game. After kicking around for most of the previous three seasons, Brett Lauther found a home in 2018. 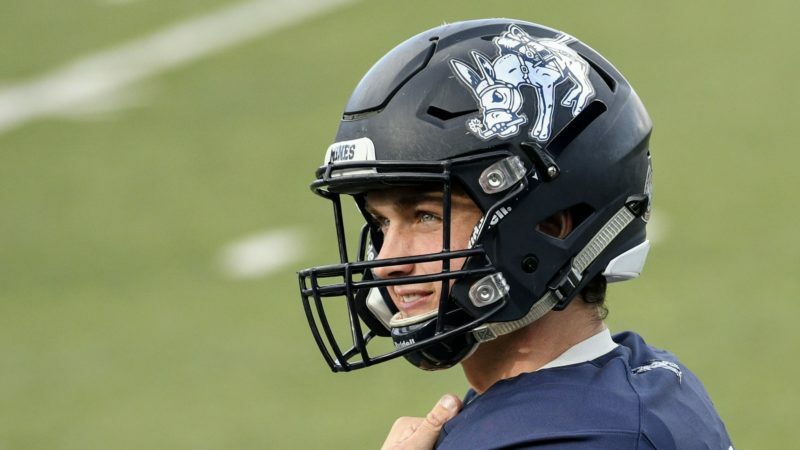 Lauther, who had tried out for several teams since 2015, was invited to the Roughriders’ training camp this spring — and earned the starting kicking job with a strong showing. He replaced Tyler Crapigna, who underwent season-ending surgery shortly after Saskatch ewan broke camp. Lauther went 54-for-60 on field-goal attempts in the regular season, tying Dave Ridgway for third on the Roughriders’ all-time list for field goals in a season, recording the second-highest single-season success rate in franchise history (behind Ridgway’s 90.6-per-cent rate from 1993) and scoring 198 points (the fourth-most in a season in team history). Punter Josh Bartel averaged a career-low 40.9 yards, but he sacrificed distance for accuracy and hang time. He put 10 punts out of bounds inside the 10-yard line and didn’t register any singles in the regular season. The other specialist, Jorgen Hus, remains one of the CFL’s most consistent long-snappers. The Roughriders lost returner Christion Jones to injury after 10 games, but he still finished second in the league in punt-return average at 13.2 yards. The only number higher than that was the 13.4-yard average recorded by one of his replacements, Kyran Moore. On Sept. 15, Moore and Thigpen became the first Roughriders tandem to return a punt and a kickoff for touchdowns in the same game since 2003. Those were among the four kick-return majors the Roughriders had in 2018, matching a single-season franchise record and tying them for the league lead. But Saskatchewan also allowed a CFL-high four return TDs. Three rookies — Alexandre Gagne (23, third in the CFL), Geter (17, tied for 10th) and Alexandre Chevrier (16, tied for 13th) — finished among the league leaders in special-teams tackles.